Age is not a disease. More birthdays do not equate to an unattractive smile. Virtue Dental Care offers preventive and restorative procedures to keep teeth and gums healthy and looking youthful. Teeth do not get more brittle with age, but cumulative wear and tear arises from years of mashing, grinding, chewing, and biting food. While resilient, older fillings and restorations may be vulnerable to breaking and chipping, especially when biting down on hard or sticky foods. Years of undiagnosed and untreated bruxism can also lead to damaged teeth. These ultra-thin layers of porcelain ceramic are designed to look like natural tooth structure. Dr. Virtue will prepare teeth for veneers, typically by removing a small amount of protective enamel. This process makes room for the veneer. 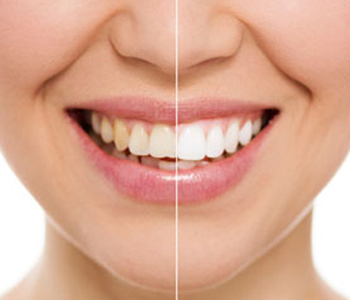 Bonded to existing enamel, the veneer covers up chips and other irregularities. Receding gums and age do not go hand-in-hand, but years of living with disease can cause the soft tissue to part from the teeth. Harmful bacteria flourish in those in-between pockets. While saliva flow doesn’t slow with age, dry mouth is a side effect of over 800 medications for chronic conditions. When sugary foods and drink are not removed with this natural cleanser, you are at risk of developing a major cause of tooth loss: decay. As a biological dentist, Dr. Virtue focuses on maintaining good oral health to avoid extensive procedures. Should existing decay detract from your appearance, conservative options such as metal-free fillings, and inlays and onlays will be recommended. Virtue Dental Care also offers CEREC porcelain crowns, dental-implant supported crowns, and cosmetic dentures to address greater needs. These restorative treatments are designed to feel, function, and look like natural teeth. As teeth are extracted or fall out, remaining teeth may shift out of place. Teeth may also be repositioned due to wear and tear. Dr. Virtue can prescribe modern orthodontics for adults as alternatives to conventional metal braces, such as Six Month Smiles and Invisalign. Six Month Smiles straightens like “traditional” braces, but the wires and brackets are tooth-colored so no one has to know you are straightening! The procedure is completed in 6 months as only the visible front teeth are treated. Invisalign’s straightening power comes from its removable aligner trays. They may be removed for up to 4 hours each day for cleaning and eating. Around every 2 weeks a new set of aligners will be worn to correspond with each stage of treatment. These dental appliances incrementally shift teeth into proper place. Don’t wait to benefit from the adult cosmetic dentistry in Yadkinville that can take years off of your smile while maintaining or restoring oral health. Virtue Dental Care Patients call (336) 679-2034 and New Patients call (336) 679-2034 for appointments.